While not located on the Jazz touring circuit in the way Europe is, New Zealand gets some surprising and unexpected treats throughout the year. This was certainly one of them. Because I’ve been travelling recently, I had not noticed this gig coming up and it caught me quite off guard. From time to time I’ve heard mention of the New Zealand born composer and saxophonist Hayden Chisholm, but I had never heard him play. The little that I did know, was that he’d lived in Europe for many years and that he’d been a microtonal innovator. His CV reveals an amazing diversity of achievements and among them; teaching, composing for large ensembles, recording around the world, film soundtrack scoring, festival directing, touring extensively and collaborating with installation artists. He is obviously not a musician to be pigeonholed easily and my expectations inclined me toward multi-phonic explorations or something akin to the wonderful Bley /Giuffre/Swallow ’61 trio’. What I heard was closer to the equally wonderful Bley (Karla)/Swallow/Shepherd trio. The gig subsumed us in pure unalloyed ballad beauty – beauty of a kind that is exceedingly rare. The programme (with one exception) was of original ballads; pieces composed by either Chisholm or Norman Meehan. Meehan was exactly the right pianist for this gig – a tasteful musician who knows when to lay out, and who never over-ornaments. His sensitivity and minimalist approach creating a bigger implied sound; each note or voicing inviting the audience deeper into an unfolding story. Later when I commented on this he repeated Paul Bley’s advice, “If somebody else sounds good, you’re not needed. So you are like a doctor with a little black bag coming to a record date” (from ‘Time will Tell’ Meehan). Paul Dyne on bass was the ideal foil for Chisholm and Meehan. Again he made each note count without busyness. Because this was an acoustic trio with the piano and saxophone unmiked, the resonance of the bass carried more weight, every harmonic adding a subtle layer. With Meehan playing so sparsely and Chisholm sailing in the clean air above, the subtlties of the soundscape were liberated until the room sang. The compositions were varied but all were marvellous. Some so gorgeous as to take the breath away – others possessing edge – all beautifully constructed. The trio worked as an effective unit, but the Chisholm effect was inescapable. The man is simply exceptional, his lines, phrasing and tone jaw dropping. I have no doubt that his technical skills are second to none, but listening to him you never give that a thought. Every musical utterance plunged deep into your soul in the way a Konitz line does. Chisholm is quite original and modern but I fancied that I heard some faint echoes of the great altoists on Wednesday night. Perhaps that was just my imagination, but Lee Konitz (and surprisingly to me), even Art Pepper came mind; especially during Meehan’s wonderfully soulful tune ‘Nick Van Diyk’. I have posted that clip (which is bookended with a lovely Chisholm tune ‘In Day Light Mourning’, where he plays a lament against a drone). The lament references the music of India and Japan, utilising extended technique (Chisholm has studied in both countries). It was one of those concerts that made you feel lucky. The sort of concert that you will recall in later years and regale those who missed it with vivid descriptions – enough to make them green with envy. For those who missed the gig or for those who want to relive it, the trio are recording this week. I will keep you posted on that and on where to obtain the album. In addition Norman Meehan has a new book out – a history of New Zealand Jazz. That can be ordered through any main street book outlet (my order is in). Hayden Chisholm Trio; Hayden Chisholm (alto saxophone, compositions), Norman Meehan (piano, compositions), Paul Dyne (upright bass) – CJC (Creative Jazz Club), Kenneth Myers Centre, Shortland Street, Auckland 23rd November 2016. This was a special night because the band was simply superb and it was a special night because the music paid tribute to Michel Petrucciani. Phil Broadhurst the leader of the quartet needs no introduction to New Zealand musicians as he has been the familiar face of Auckland Jazz forever. Whether playing as resident pianist in the London Bar ,accompanying visiting musicians or performing his role as senior tutor at the Massey University School of Jazz, Phil has been at the epicentre of the New Zealand Jazz scene. He is a gifted artist and a prime enabler. Wednesday was the official launch of the ‘Delayed Reaction’ CD which marked a milestone in what has been a long and interesting journey. Not only for Phil, but also for those of us devoted to the music of Michel Petrucciani and who now get to share in the journey. 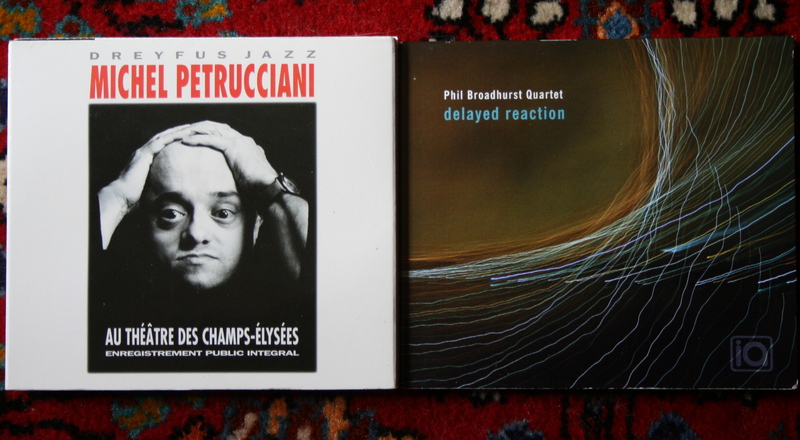 Phil has probably studied Petrucciani’s body of work more extensively than any other and this music is the evidence. The first set opened with ‘Brazilian like‘, a well-known Petrucciani composition. This medium tempo number paid tribute to the original but Phil and Roger gave it a slightly more bluesy feel which added interesting dimensions to the tune. When I listened to that particular track on the album, I realised that Phil had achieved a rare thing. The voicing and percussive attack were unmistakably Petrucciani, but in managing to add some of the feel and spaciousness of the New Zealand musical landscape he made ‘Brazilian Like‘ ours as well. Next was the title tune ‘Delayed Reaction'(Broadhurst). The number built-in intensity without losing any of its beauty and the quartet were obviously focused on treating this original with the same respect as the Petrucciani compositions. Throughout the two sets there was a perfect juxtaposition between Petrucciani compositions and Broadhurst originals. Phil had reworked many of the Petrucciani tunes and the result was to create a very satisfying melange. Other Petrucciani tunes played were; ‘Guadeloupe‘, and the wonderful ‘Looking up‘ – a tune brim full of exuberance and always conjuring up Michel Petrucciani’s infectious good humour which he maintained against all odds. He would have liked what this band offered up. Of the Broadhurst originals I particularly liked ‘Oranje‘ (so titled because it was the birthplace of M.P.) and the lovely trio piece titled ‘Matai Bay‘. During this last evocative number the considerable skills of Olivier Holland (b) and Alain Koetsier (d) were particularly in evidence. On the rest of the numbers Roger Manins (ts) shone with his story-telling bluesy intensity. His performances are consistent in this regard and it is my observation that any group he plays in, is lifted up a notch. We also heard a few standards and the rendition of ‘You Walked Out of a Dream‘ was fabulous. Phil increasingly threw challenges at the others and they responded in ways that had us on the edge of our seats. Roger soon exploded into his solo and the exultant soulful wailing as he seemed to depart from the upper register, had everyone spellbound. Mike Booths (fh) contribution was on ‘If I Should Lose you‘ and this was also well executed. A few years ago my partner Darien and I were traveling through the ‘Loire Valley’ France and I spotted a road sign indicating that we were close to ‘Blois’ a town famous for its castles, château and its Houdini association. 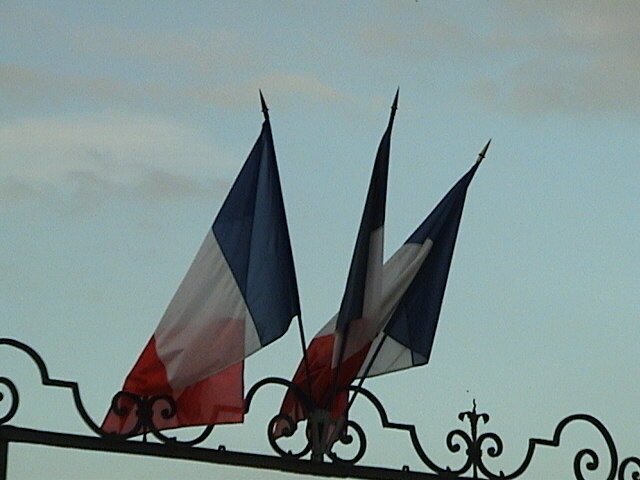 It was not those things that drew me to stay there but its association with Michel Petrucciani. 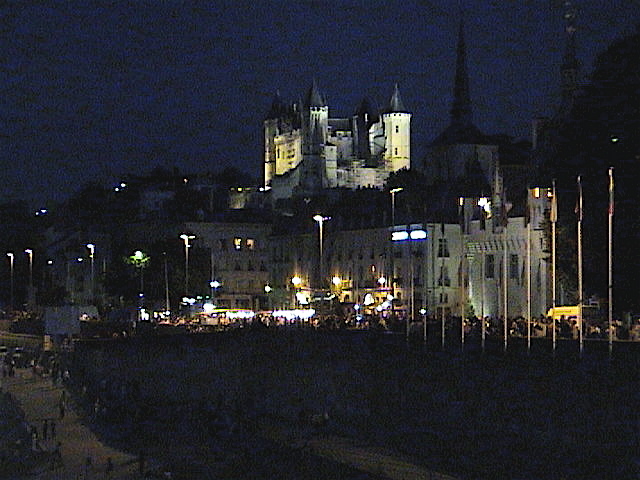 He wrote a wonderful suite about the place; one section was titled ‘Night Sun in Blois‘. Sitting on the ramparts of that ancient and stunningly beautiful city at dusk I could hear that piano piece echoing in my head as the sun filtered through the now dark mass of the surrounding forest. The Loire river was a shinning golden reflection way below us and I wondered if Petrucciani had sat on this very spot when he was inspired to write that tune. That powerful memory had faded with time but it was sharply brought back to me as I listened to this tribute and I thank the quartet for that. The album ‘Delayed Reaction’ is on ‘Independent Artists’, a New Zealand label associated with ‘Rattle’ records.